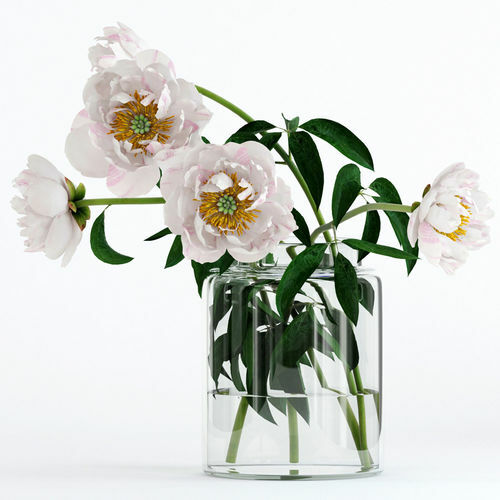 File includes very realistic peones in glass vase. Native format is 3dsmax 2014. Peony petals are covered by Turbosmooth with 1 itterations. Vase with water are covered by Turbosmooth with 2 itterations.